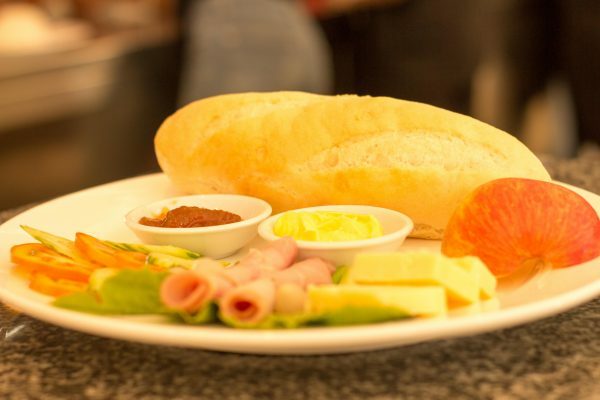 Welcome to Jars Of Clay Café, Phnom Penh! 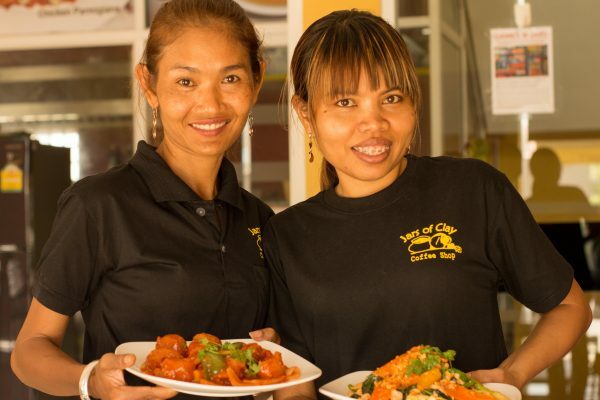 We are a family oriented Café which operates as a social enterprise providing sustainable employment for many disadvantaged and at-risk young Cambodian women. Our first café was started by a missionary from UK in 1998 - emerging from these very humble beginnings with only five full time Cambodian staff we have grown to now employ over 20 Cambodian staff within two Cafes! Our Cafes are located in the popular Toul Tom Poung (near Russian Market) and Phnom Penh Thmey areas of Phnom Penh. 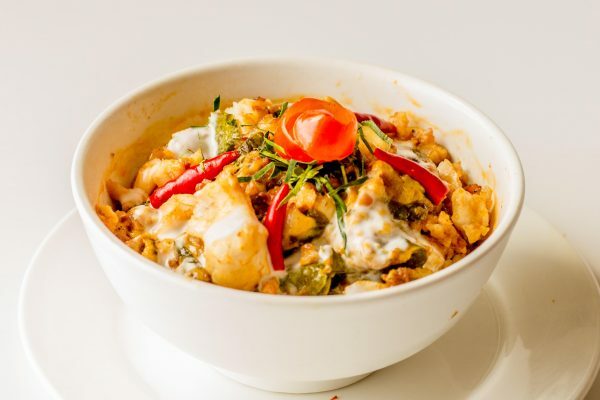 We are privileged to serve you with our unique range of Western homestyle cooking, delicious slices & cakes, teas, coffees and healthy juice range to suit all tastes. Whether you call Cambodia home or are just visiting our beautiful country for a short time - we make it our aim to serve you with only the freshest ingredients, showing great care in our cooking, our serving and in giving you a wonderful Khmer experience. Our motto is: always with love. 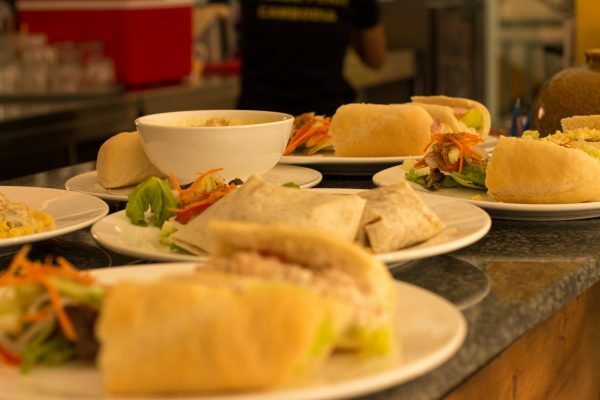 We hope you experience the feeling of being loved as you enjoy our great tasting food, friendly service and peaceful atmosphere in one of our Cafés today! Jars Of Clay Cafe: Serving our valued customers since 1998 - always with love! With almost 20 years experience in serving customers – we are confident that you will enjoy our great food, friendly service, and relaxed family styled café environment. 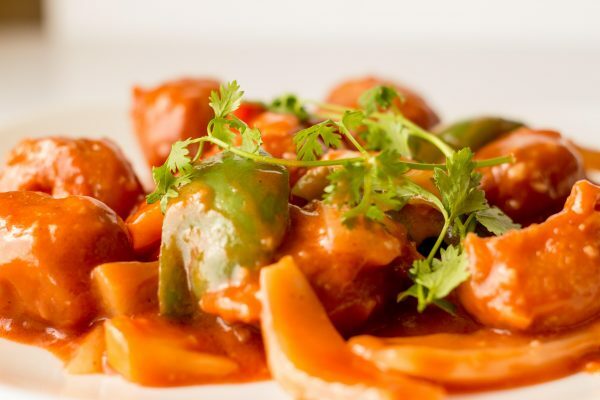 Our menu includes a range of western favourites and new takes on Asian inspired foods. We offer breakfast, lunch and dinner menus – as well as a large range of teas, coffees, smoothies, fruit juices, cakes, slices and cookies! See our Cafe Display for today's range of yummy cakes and slices! We offer catering for large group meetings, weddings and other major events. We can provide an affordable option for your next event – so gives us a call for a quote today! See our full list of catering options Or Call: +(855)12 800 160. If you are looking for where to buy affordable yet great tasting quality cakes, slices and sweets for your next party, function or family gathering – you don’t have to look any further. We pride ourselves in making the best homemade cakes and slices in Phnom Penh! (..Just ask our regular customers if you don’t believe us..). If you are in a hurry and would like to have your order ready for immediate pick-up - that is no problem for us! You can order online (using our website form), by email or simply call ahead to ensure your order is prepared in time to collect at one of our Cafes. Please allow 1-hour minimum for advance orders - and we will make every effort to ensure your order is ready for pick-up at the designated time.